More about all the different sizes of ZAGS! Our ZAGS UPF 50+ SunWraps now come in so many different sizes. Check them all out below! 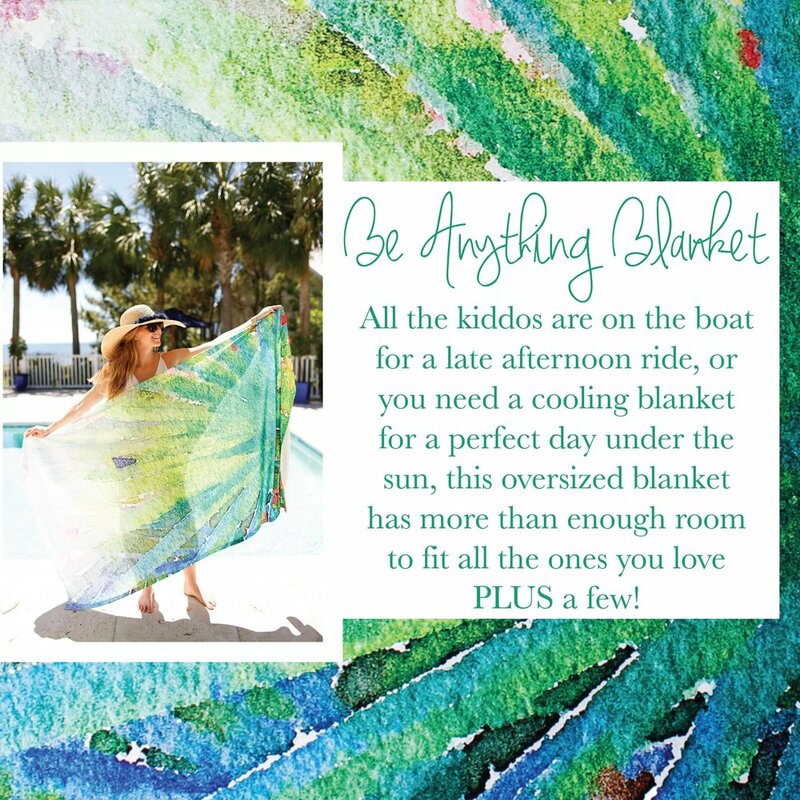 Our 40”x80” UPF 50+ Be Anything Blankets are perfect to wrap up all your loved ones and hold ‘em close! The 40”x40” Surf Square is great for a shoulder drape, a sarong, or anything else you can imagine! We love how versatile our 24”x65” Sunny Shawl is -- whether you drape it over your shoulders, fold it into a sarong, or wrap it anyway else -- you're sure to look SUNNY as ever! Throw on your fun and stylish Party Poncho to go straight from the Beach to the Boardwalk, the Dock to Dinner, or the Creek to the Club! Our newest ZAGS release, the Tidal Pool Top, comes in three sizes so you can look and feel your best! Coming in the 4” Sercy size and the 8” Happy size, you’re bound to find your perfect fit in our Beachy Bandeau! Hold back your hair or protect your neck in UPF 50+ style.